Cavity wall insulation was marketed on the basis that your home will be warmer and you will save vast amounts of money on your heating bills. Did you know however that not all buildings are suitable for cavity wall insulation? The cavity between two walls in the building process of the majority of homes is designed to keep the inner wall dry and free from damp thus protecting the interior of the building. In most cases cavity wall insulation, when installed correctly will do this, but on walls that endure heavy weathering and are exposed to storms and rain more frequently, cavity wall insulation could actually be responsible for water ingress problems. 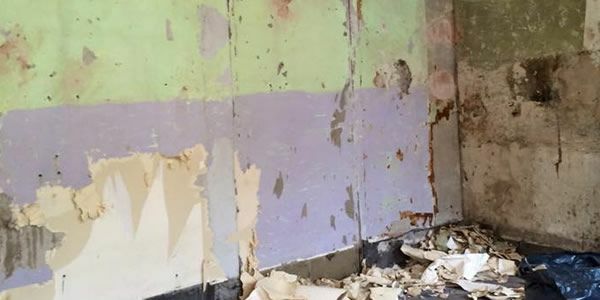 Dealing with persistent damp and getting your house back to how it was is very challenging. On top of that you will be faced with lengthy claims procedures with your insurance company and their loss adjuster. This can be a complicated matter as they may not fully appreciate the extreme effects of the water penetration due to cavity wall insulation problems. Additionally the insurance company and loss adjuster will look to minimise your claim settlement as much as they can. Our main priority is to take away all the pressure by restoring your property to its original state as quickly and as thoroughly as possible. Why Choose Centurion To Manage Your Cavity Wall Insulation Insurance Claim? Based in Manchester, Centurion Claims Management are ideally located to deal with your home insurance claim if you live in Greater Manchester, Lancashire, Cumbria, Cheshire or Merseyside.